The 3-star Hana Kai Maui Resort is the place that we chose for a 2-night stay in the town of Hana, and I'd return here in a heartbeat. I love its location on the beautiful black Waikaloa Beach! I also love the price, and the fact that every single condo on the property has at least a partial view of the ocean! It's a great choice of hotel if you're on a budget, yet still want a well-kept place that's not only clean, but modern too. For our party of 5 (3 adults and 2 young kids,) we found it to be the most affordable option available. Also, if you want an unplugged quiet experience and lots of quality time with your companions, you'll love the lack of TV's in each room. This sets the stage nicely for quality time together, rather than zoning out in front of the glowing screen. If you're looking for a swimming beach right out front, or even a swimming pool, you won't find it here. So don't book this place unless you're ok with that. Also, if you have trouble parking in tight spaces that are on an incline, you may want to consider other options - the parking is doable, but a challenge. This place doesn't offer air-conditioning, so if you have your heart set on that, then give this place a pass. That being said, if you leave your windows open to let the ocean breeze in, and the ceiling fans on, I honestly doubt you'll miss the AC. We didn't. Each condo contains a full kitchen (stove, fridge, microwave, toaster, coffee, sugar, s/p non-stick cooking spray, non-dairy creamer). Since we're in Hawaii, and it's so incredibly beautiful outdoors, I love the fact that there is a deluxe gas BBQ available for use by the guests! Most of the rooms have those tile floors that are everywhere in Hawaii. Their deluxe 2-bedroom ocean front condo is an exception, as it features beautiful hardwood floors, plus granite countertops and upgraded furnishings. 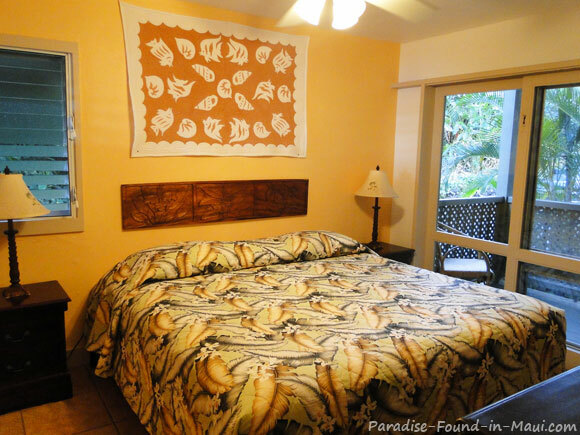 For their ocean front Hana Maui accommodations, they ask for a minimum of a 2 night stay. If you go this route, you'll have a choice of a 2-bedroom/2-bath deluxe condo, a 1-bedroom, or a studio. Their remaining Hana Maui accommodations are either full or partial ocean view: a 1-bedroom premium condo, six 1-bedrooms, 1 premium studio, 3 regular studios, 1 partial ocean view 1-bedroom, 1 partial ocean view studio. Insider Tip: Because these are condos, and most are individually owned, quality and decor can vary from unit to unit. This is a case where it's super important to read recent reviews so you'll know what to expect from the unit you book. The reviews of this property are overall extremely positive, but do make a point of reading them ahead of time so you can nab the BEST possible room for yourself. Insider Tip: Some people find that the suites on the lower floor are a bit noisy since you can hear the guests above you at times. 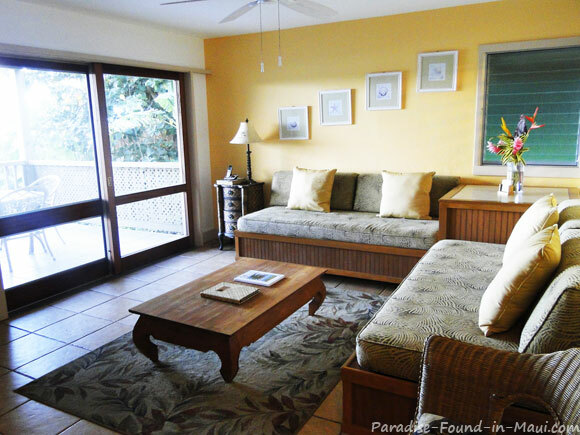 If you want an extra quiet condo, booking one of their upper floor Hana Maui accommodations should help. Children age 6 and under are free, so if booking your room on-line, only count the number of guests that are older than 6 years old. 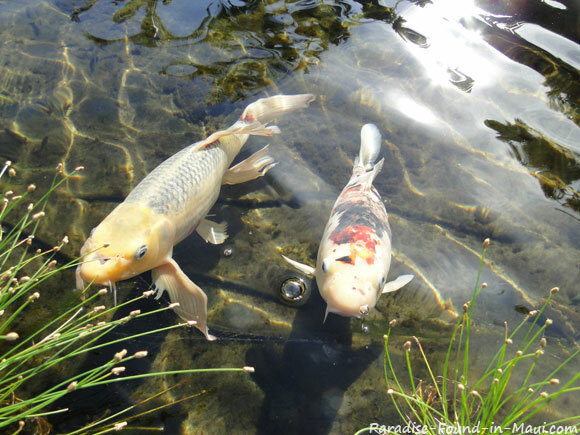 Our kids loved all the fish in the koi pond here! 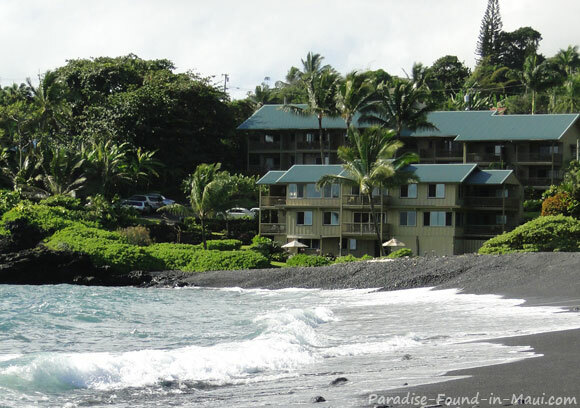 This place is located on the gorgeous Hana Bay - you may have read it's a safe place to swim in Hana, but, the portion of Hana Bay that this hotel is located on is not ideal for swimming - there are better places for that nearby. Not ideal for swimming, but beautiful for a stroll. However, this beach IS very nice to walk along, if you wear good shoes. The views of the surf crashing on the rocks are magnificent, and the back of the beach is lined with picturesque coconut palm trees. Important Tip: In case you didn't know, getting hit on the head and killed by falling coconuts does happen once in a while, so I don't recommend walking directly beneath the coconut palms, no matter how lovely they are! Currently, I've had no luck finding rates for the Hana Kai Maui Resort at any of the usual on-line booking engines. So, my recommendation is for you to simply contact the resort directly at 1-800-346-2772, or use the resort's website. 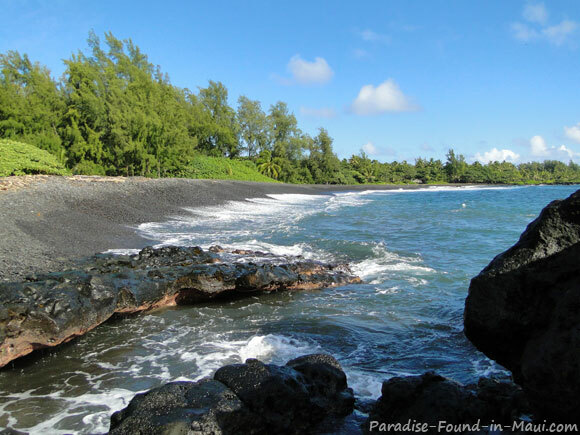 2) Read more about all of the things to see and do in Hana Maui, how to get there, and more!